﻿A mixture of Lachenalia species. 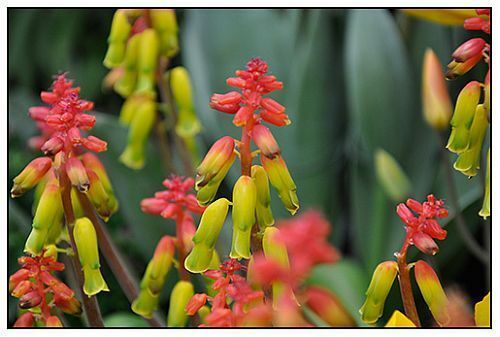 Lachenalia are bulbous plants that are native to South Africa. They love a sunny spot and bring forth beautiful flowers in early summer.